Read our Blogs. 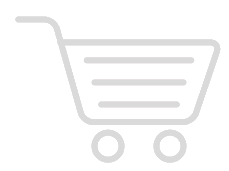 Interesting articles, news, opinions and tidbits about wines, spirits and all items related to our business. A drink as hard as the firearm it’s named for, the Tommy Gun is a tough little cocktail. The Tommy Gun was the brainchild of Jacques Bezuidenhout in San Francisco back in 2008. The uniqueness of this drink comes from its diverse ingredients that produce a bold, strong flavor. Gift boxes so stylish, so unique…there's no need for wrapping paper! Join the Wine Country Team and watch your business soar! Partner with our pool of experienced, like-minded retailers for added profitability, purchasing leverage and corporate-wide marketing targeted for you. Have wine and spirit questions? We’ve got answers. Whether it’s pairing wine with food, knowing how much booze you need for your next party, or getting all the classic cocktail recipes you could want in one convenient spot, the Pros at 4wineandwhiskey.com are always here to help! The Three-Minute Wine School, presented by the Wine & Spirit Education Trust (WSET), is a collection of 21 short films on different wine styles and regions. introducing the first of our charity wines. created for the benevolent order of elks: alce cura. 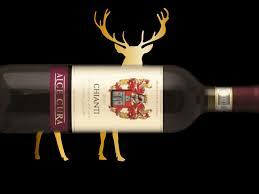 In Italian “Alce” means Elk and “Cura” means Care, so the name is Elks Care. This line of wines helps to raise funds for homeless veterans in our nation. Manhattans pack a lot of punch into 3 ingredients. Sweet Vermouth, Rye and Angostura Bitters play off one another’s sweet, spicy, and bitter flavors. When made correctly, Manhattans are smooth and velvety. Here are five top tips. Most of us have some sort of Bourbon at home. It might be tempting to use whatever we have lying about in whatever we’re about to drink, but, when it comes to Manhattans, that’s not ideal. “Rye adds amazing body and spice to the drink, and offsets the sweetness of the vermouth,” Jonathan Shock, Bar Manager, Lady of the House, Detroit, agrees. He opts for Old Overholt Bonded or Rittenhouse ryes when he’s on a budget, but “Russell’s Reserve Rye or a WhistlePig would also be great choices if you’re looking to spend a bit more,” he says. Because vermouth is made from wine, it expires more quickly than grain-based spirits. “Keep your vermouth corked and refrigerated after opening, and try to use within a month of first use,” Shock says. If you don’t see yourself taking down a full bottle of vermouth in 30 days, look for 375-milliliter “half” bottles. 3. Put a cherry on top. Luxardo cherries are the gold standard for cocktails. They are beloved by bartenders for their texture and bright flavor. Add one after you’ve poured your drink into a chilled coupe, Martini glass, or whatever vessel you’re using. You can also express an orange peel over the top of your finished drink, Shock says. Be sure to discard the peel once you’re done — putting it in the drink will overpower your cocktail’s flavors. 1. Small ice cubes do you no favors. The Manhattan is traditionally served up in a chilled glass. If you love ice and don’t want to skip it here, you should by all means make the cocktail you want to drink. 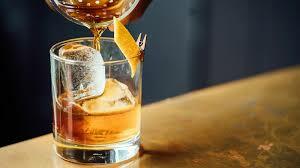 Just keep in mind that varying ice shapes and sizes will dilute your Manhattan differently. Use the largest cubes you have, and save crushed or cubed ice for your next julep. 2. Don’t be afraid to season. “I prefer a pinch of salt in my Manhattan,” Shock says. Lee agrees, saying that a small amount of salt won’t make the finished product taste saline, but will elevate all the flavors in your drink. Sound weird? Think about how you cook. If you have a fresh summer tomato and eat it as is, it will taste great. But! If you crush a tiny bit of sea salt over that same cut tomato, it will pop. The salt highlights the juicy sweetness and balances the acid. The same principle applies to cocktails. Just remember to use a light hand. It’s a lot easier to add salt than to take it away. Could we be in the golden age of rye? The spirit is enjoying a more glowing reputation than ever before. It’s true that whisky on the whole has undergone a renaissance in the last 20 years. In that time, however, rye has steadily emerged from the shadow of titans like scotch and bourbon to claim its rightful place as the spicy alternative for straight sipping or inspired mixing. 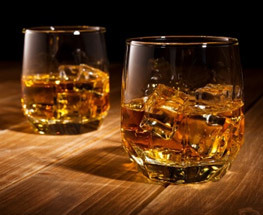 Canada has historically laid claim to the rye whisky category. Legendary names have long enjoyed the loyalty of whisky enthusiasts on our home turf and around the globe. Interestingly, Canadian ryes do not traditionally lean on a high rye grain content. It’s been suggested that whisky acquired its name generations ago, when some farmers were known to tweak their winter whisky reserve with a handful of rye. The name stuck and then spread. Admittedly, rye aficionados are a breed apart. Where legions of bourbon admirers are drawn to its mellow sweetness, fans of rye whisky tend to appreciate the zing of peppery spice. Rye snaps the taste buds to attention and brings an edge of heat to the palate before fading on a smooth finish. Today, the characteristic sharpness of rye is finding expression in an ever-expanding range of releases, as distillers explore a variety of taste profiles. It bears noting that Canadian ryes have never had to adhere to a minimum rye grain standard. Stateside, however, producers are obliged to include 51% rye to be considered a true rye. Over the past few years, interest in this style of whisky has increased, which has laid the foundation for the rise of the “big” rye. This is helping to introduce options that add extra oomph to the taste profile, and some brands are crafting liquid with 100% rye grain. We consider California a new world wine region, and there’s no doubt the state has been at the forefront of modern winemaking techniques, but they’ve been making wine here since the 18th century. From those early beginnings, the region has grown into an international, winemaking powerhouse. The unique diversity of California’s climate, geography and soil types make it one of the largest wine producers on earth – up there with Italy, Spain and France for sheer volume – and its top wines easily rank among the best in the world. Less than an hour outside of San Francisco, Napa is easily California’s most famous region. Nearly 500 wineries can be found among the region’s lush, rolling hills and fog kissed vineyards, including some of the state’s most famous: Mondavi, Beringer, Opus One, Stag’s Leap. While dense, massive Cabernet Sauvignon wines are what put this region on the map, Napa also produces excellent Chardonnay, Merlot and more. This massive region, stretching from the border with Napa all the way up to the Pacific Ocean. While Sonoma is California’s largest producer of Pinot Noir, its vast size and diversity of climate allows for a wide variety of grapes to be grown here, from crisp Chardonnay along the coast to intense Zinfandel. One of California’s most northerly wine regions, home to giant redwoods, rugged coastline and supple Pinot Noir, the Mendocino region is also one of its most climactically diverse. In addition to being recognized as one of California’s best regions for sparkling wine, Mendocino winemakers are also experimenting with everything from Riesling and Semillon to Grenache and Tempranillo. A relatively new wine growing region, they’ve only been producing wine on a commercial scale here since the 1960s, Monterey County has quickly developed a reputation for producing some of the state’s most refined and intriguing Pinot Noirs and Chardonnays. Stretching from Monterey Bay to Paso Robles, the region is renowned for its relatively cool, stable climate, making it a winemaker’s dream. This small but influential region along the coast south of San Francisco is renowned for the quality of its Pinot Noir, Cabernet Sauvignon and Chardonnay grapes. The area is also known for its sustainable and organic grape growing and winemaking practices. America’s fastest growing wine region, there are currently 200 wineries producing exceptional Zinfandel and Cabernet Sauvignon as well as some superb Rhone varieties like Syrah and Viognier. Halfway between Los Angeles and San Francisco, Paso Robles, in the heart of the Central Coast, is considered by many to be California wine’s next big thing. One of the world’s iconic wines, Zinfandel remains nearly synonymous with California. This chameleon grape variety can be made in a wide range of styles; from soft and fruity to full, spicy and tannic. You’ll Experience: Although the grape lends itself to a variety of styles, it is typically expressed as a very full bodied and lush wine with heaps of liquorice, cherry, sweet baking spices and black pepper. Try It With: Sweet Italian sausages with roasted peppers or short ribs with Chinese five spice. Cabernet Sauvignon is grown all around the wine world, but California has a special affinity for it. It's the state’s most widely planted red wine grape, fashioned here in a distinct, fruit-forward style all its own. You’ll Experience: This is a deep and full-bodied grape with plenty of rich tannins. Dark, ripe berries are elevated by tobacco and cedar aromas. Try It With: A great steak fresh off the grill and covered in sautéed mushrooms or a caramelized onion tart with olives and fresh goat cheese. Merlot was brought over to California from France in the mid-19th century. You’ll Experience: Fruit forward and medium bodied, California Merlot offers plum, vanilla and leather aromas typically underpinned by mocha and black cherry notes. Try It With: Greek style lamb sausage with smoky baba ganoush or rib eye steaks with miso mirin butter. California’s most widely planted grape has undergone a significant style change as it moves away from the buttery, oaky, lush style that it was long renowned for towards something fresher and more carefully balanced. You’ll Experience: Apple, peach and almond flavours are typical while oak aging brings out the grape’s vanilla and toasted coconut flavours. Try It With: The big barrel-fermented, barrel aged examples are well suited to grilled salmon (with hollandaise sauce or mango salsa), veal and lobster with drawn butter. Fruitier, crisper, unoaked or lightly oaked chardonnays are great with delicate shellfish, poultry, ham or pasta in a creamy sauce. Loved throughout the world for its fresh, racy style, Sauvignon Blanc thrives in California’s warm vineyards. You’ll Experience: Crisp and citrusy, with lime and grapefruit flavours, this elegant grape often shows white flower and melon aromas. Try It With: Whole grilled branzino with lemon and mint or shrimp tacos with fresh avocado. Pinot Gris is quickly growing into one of California’s most popular grapes, and the warmer climate leads to the expressions that are a little riper, more rounded and lower in acidity than found in cooler climates. You’ll Experience: Soft and subtle lime, pear and apple are the flavours most associated with California Pinot Gris. Honey and almond aromas are also common in this crisp grape. Try It With: A silky plate of carbonara or clams casino would make great pairings for this versatile grape. In addition to spending time with loved ones and pausing to reflect on what we are most thankful for, Thanksgiving is all about food. Lots and lots of food. The centerpiece may be the turkey, but it’s your recipes that make your Thanksgiving meal distinctly yours. A reflection of your family, your ancestry, even the region of the country where you are from. And, all of those dishes need wine (because everything does, doesn’t it?). And there’s no better holiday-worthy wine than Dozen Roses (even the bottles seem dressed for the occasion). After all, holidays call for crowd-pleasing wines, the kind you’ll enjoy just as much as your Great Aunt Mabel and your niece just home on college break. 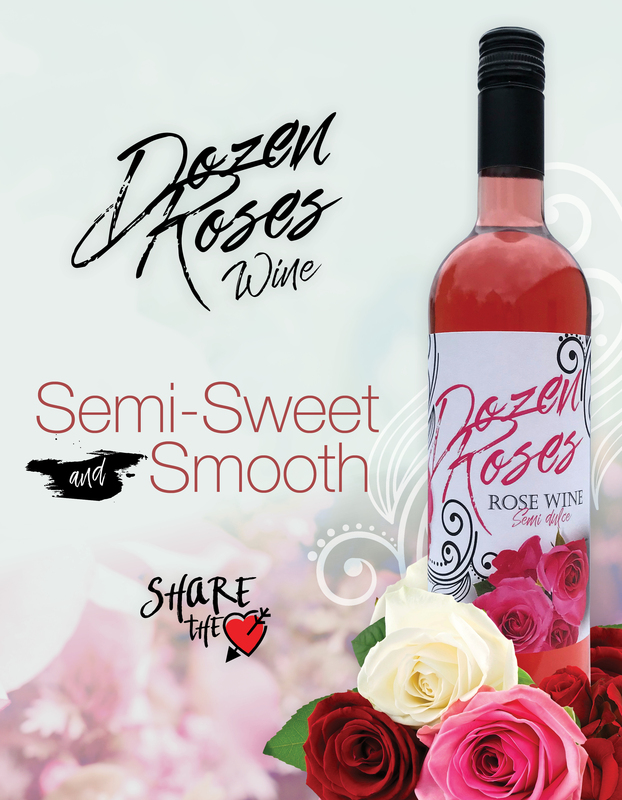 Because, whether you choose the red, the white or the rosé, Dozen Roses Wine has the perfect hint of sweetness to work with roasted turkey with cranberry sauce, candied yams, glazed carrots, sweet potato souffle, and of course, homemade apple pie. But don’t take our word for it, try our Easy Apple Pie recipe, paired with a perfectly chilled glass of Dozen Roses White Wine and get ready for compliments! Preheat oven to 425ºF. Roll out dough if needed and place in bottom of pie pan. Mix apples, sugar, flour, cinnamon and nutmeg in bowl and place in pie shell. Top with second pie crust. Crimp edges together and vent top of crust by making 4-5 slits in top of crust. Brush with egg white and sprinkle with sugar. Bake at 425º for 35-40 minutes. Serve with a chilled glass of Dozen Roses White. Most wine sold in the U.S. are made for immediate consumption without the need to cellar. Some wine lovers, however, prefer to "lay wine down," or store bottles for a few years in order to enjoy them when the flavors have evolved. So what happens as wine ages, and how do its flavors change? Which wines should be aged? And, most importantly, why do we age wines at all? Here's what you need to know. What happens to wine's flavor as it ages? When wines are young, we taste their primary flavors, like grassiness in Sauvignon Blanc, plum in Merlot, apricot in Viognier or citrus in Riesling. We may also notice some secondary notes associated with winemaking techniques, like the vanilla flavor of oak or buttery nuances from malolactic fermentation. When wines age, we start speaking about tertiary notes, or flavors that come from development. This could mean young, bold notions of fresh fruit that become gradually more subdued and reminiscent of dried fruit. Other flavors, previously hidden by bold primary notes, come to the fore, like honey, herbal notes, hay, mushroom, stone and earth. What causes these changes? Nothing in wine is ever static. Acids and alcohols react to form new compounds. Other compounds can dissolve, only to combine again in another fashion. These processes happen constantly and at different rates. Every time you open a bottle, you catch the wine at another stage in its development, with new and different nuances. 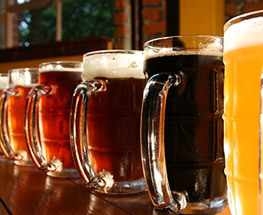 While the proportion of alcohol, acids and sugars stay the same, the flavors continue to change. Texturally, the wines also change. Dry, aged white wines can become almost viscous and oily, while reds tend to feel smoother. This is due to phenolic compounds like tannins falling out as sediment over time. In a young wine, these compounds repel each other, staying small enough to remain suspended in the wine. As the wine ages, they lose their charge and start to combine, forming chains and becoming larger and heavier. 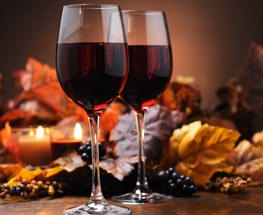 This reduces the surface area of the tannins, causing them taste smoother, rounder and gentler. Once these combined compounds become too large, they fall out of suspension as sediment. Some red wines throw heavy sediment, others almost none. One of the most visible processes in an evolving wine is slow oxidation. Color is the most obvious indicator of this. As white wines age, they often evolve from pale lemon or golden to amber and even brown. Vivid salmon-hued rosés can take on onion skin tones as they age. As reds develop, oxidation often moves them from the purple end of the spectrum toward tawny or brown hues. While young reds can be opaque when held against a white background, mature reds often show a lighter color around the edges. This is known as "rim." The rate of oxidation depends on the amount of air left in the neck of the bottle after it was sealed, and how permeable the closure is. Traditionally, natural cork has allowed minimal oxygen exchange, which is why most wines deemed ageworthy are still bottled under cork. However, since cork is a natural product, there is no such thing as uniformity. This can cause considerable bottle variation in the same case of wine. Meanwhile, sophisticated synthetic closures like Nomacorc mimic this oxygen exchange in a more predictable fashion. Even the liners of screwcaps can allow for a certain amount of oxygen exchange, and it's perfectly possible to age and cellar these wines. It's often assumed that only the finest, most expensive wines can age, but any well-made wine stands a good chance of developing. Entry-level wines from good wineries can easily age from three to five years, unless they're made for primary, aromatic appeal like an easy Moscato. Wines that have real concentration of flavor, with a good balance of alcohol, acidity and texture, should age well. But some wines are made specifically for extended aging, like very extracted reds with bold tannins that need some time to mellow. These comprise many of the fine wines of classic European and New World regions. White wines that can especially benefit from aging include Riesling, Sémillon, Chenin Blanc, Furmint, white Bordeaux-style blends, white oak-aged Rioja, oak-aged Sauvignon Blanc and good Chardonnay. Some Albariño, Garganega and other lesser-known regional grapes can also age well. Well-made reds age wonderfully, even for just three to five years. It's often surprising how well they can keep their freshness. Some countries have legally defined terms for wines that were aged before release. Look out for Reserva and Gran Reserva (Spain), Riserva (Italy) and Garrafeira and Reserva (Portugal). These wines already have some bottle age, but they can be cellared further. Also look out for so-called "library" or "museum" releases from wineries. Some very high-quality rosés can also age, though the vast majority are made for immediate consumption. Quality sparkling wines, particularly those made by traditional bottle fermentation, can also age. This includes both white and rosé sparkling wines. If they are still on their lees (yeast residue from the second fermentation) in the cellar of the producer, they can age for decades. In this scenario, the lees act as protection from oxidation. However, once sparkling wines are disgorged and taken off this yeast residue, they can still age well. In fact, very young sparkling wines often benefit from a year or two of bottle age. With many years of post-disgorgement bottle age, the mousse, or foam you get when you pour a glass, becomes softer. Fortified wines are released generally when they're ready to drink. Due to their high alcohol levels, they're more protected from the ravages of time than unfortified wines. A prime example here is Madeira, which can age effortlessly for decades. Two fortified wines that prove exceptions are fino and Manzanilla Sherry, which should be consumed while young and fresh. Very sweet wines, with their high sugar concentration, also age immensely well. The sugar acts as a preservative, even if the alcohol is low. How should wine be stored for aging? Bottles destined for aging need dark and cool storage around 53-57°F. The temperature should remain constant to allow for slow, even maturation. 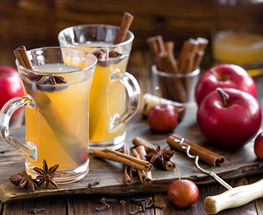 Higher temperatures accelerate the rate of chemical reactions in a wine, which can be detrimental to the wine's structure and cause it to "cook," making fruit flavors taste mushy and baked. Darkness is also important, as ultraviolet rays in light can spoil wine. How can I tell if an older wine is still good to drink? To tell if an older vintage is past its prime, use the same technique you'd use to judge any wine. Bring it to the correct drinking temperature, open it, pour, swirl and smell. If it smells good, taste a little. If you like it, it's good to drink. Red wines which have thrown sediment should be stood upright for 24 hours before opening so the sediment can settle. These may also benefit from being decanted. Some wines take time to reveal their true nature. While softened tannins are one way that a wine's age expresses itself, its tertiary notes are also often more complex and rewarding than younger, more one-dimensional primary fruit notes. Once age allows fruit flavors to subside, a magical new world of flavor opens up. Cabernet Sauvignon and Merlot become suggestive of dried tobacco leaf and cigar box. Syrah develops smoky, visceral notes of cured meat and violets. Nebbiolo and Sangiovese become heady with lifted notes of sour cherry and rose. Riesling and Chenin Blancs can seem like chamomile tincture, while Pinot Noir attains an aura of fallen leaves, earth and undergrowth. These are all acquired tastes, far removed from the initial accessibility of youthful fruit. But these are sought specifically by many wine lovers. Even after years, you may feel the restraint of a cool season or the dry heat of a hot summer in these wines. At the height of their development, mature wines speak eloquently of time and place. Tasting historic wines that have withstood decades, and even centuries, is a transcendent experience. Over 99% of all wine produced in Rías Baixas is white. Differences in microclimates, terroir and grape varieties in the five sub-zones, as well as different winemaking techniques, make for wonderful diversity. Styles range from a crisp, aromatic “melony” character in Val do Salnés, to a peachier, softer style in O Rosal, and a less fruity and earthier style in Condado do Tea. While the different sub-zones express subtle differences, the wines all share a number of characteristics. Pale golden lemon, they are all crisp, elegant and fresh. 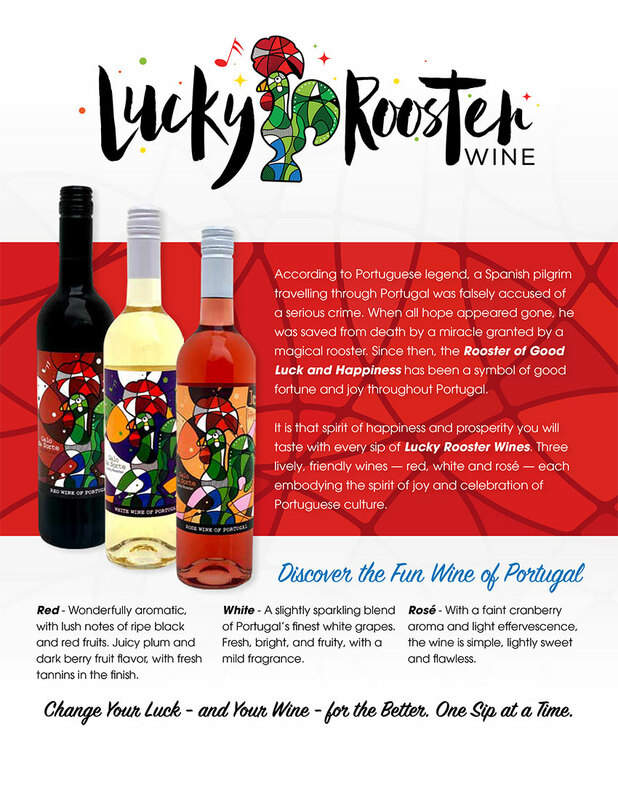 These wines are bone-dry and aromatic, packed with flavors of white peach, apricot, melon, pineapple, mango and honeysuckle. 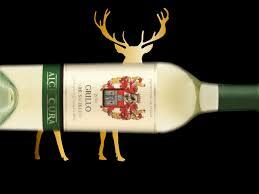 They share good natural acidity, have mineral overtones, and are medium bodied with moderate alcohol (12%). While twelve grape varieties are permitted in the DO, the white Albariño grape represents 96% of all plantings. Other important permitted grapes include Treixadura, traditionally blended with Albariño; and Loureiro, a high-quality local variety particularly associated with O Rosal. Caiño Blanco, Torrontes and Godello are also planted to a lesser extent throughout the region. Planting Albariño at the proper height and exposure to ensure even, healthy ripening is essential to quality. Vines are traditionally widely spaced and trained on stone pergolas hewn of the same granite as the soils below. To counter the region’s rainfall and humidity, most vines are trained on a wire trellis called a “parra” anchored by granite posts. Parras are up to seven feet high, allowing breezes to flow through for maximum circulation to prevent mildew and to promote even ripening. In the fall, ripened grape bunches form a ceiling-like canopy and are harvested by pickers standing on grape bins. Some vineyards are replacing the traditional parra canopy and using a European double cordon system called espaldera. Throughout the region, yields are low, ranging from three to five tons per acre. Careful harvesting (the grapes are hand-picked in small plastic 40 pound crates) and temperature control have revolutionized winemaking in Rías Baixas. Grapes are delivered to the winery as fast as possible to avoid oxidation, and the must is fermented under meticulous temperature control in modern, stainless steel installations. After harvest, the Albariño grapes are lightly pressed. The juice, pulp and skins are left to macerate at low temperature from several hours to several days to increase the wine’s aromatic complexity and structure. This is a practice gaining popularity among Rias Baixas wineries. Many Rías Baixas winemakers now favor fermenting their grapes with the native yeasts found in their vineyards. Though it can be challenging to make wine with wild yeasts, they believe the resulting aromas are a more authentic reflection of the characteristics of the Albariño grape and their terroir. Barrel fermentation can be used to impart additional texture and increase the aging potential of Rias Baixas wines. Though not common, barrel aging adds complexity, flavors and structure. These techniques are often used in a year of extraordinary ripeness, when the wines are robust enough to benefit from oak treatment. With abundant natural acidity, Rias Baixas wines are characterized by their crisp personality. Malolactic fermentation, which mutes the sensation of a type of acid, can be prevented by the winemaker to maintain freshness. Alternatively, complete or partial malolactic fermentation can be used to produce a rounder, softer profile, which helps the wines to age gracefully. There is a minimum alcohol level of 11.3% for Albariño wines, 11.5% for wines aged in oak and 11% for other white wine blends. Normally, the sediment that remains in a wine after fermentation is removed. However, the small particles known as yeast lees can release compounds that enhance flavors and aromas, and produce a rounder texture. Contact with the lees also helps to preserve its freshness until bottling. This is a very common practice in Rias Baixas and is a technique that is constantly being perfected by winemakers. Big and bold with personality to spare, Australian wines are as unique as the country itself. And for winemakers, what a country it is! First drawing international attention for its famous fruit-forward Shiraz, Australia has since garnered a reputation as a nuanced producer of a wide range of wines in a variety of styles. From full-bodied Cabernet Sauvignons and crisp Sauvignon Blancs to balanced, expressive Chardonnays, take a look at the vast selection the country has to offer. They’ve been producing wine in this lush and mountainous wine region on the outskirts of Adelaide since the middle of the 19th century, but it was only 20 years ago that the area became an officially recognized Australian Geographical Indication (AGI). The relatively cool climate means that white wine reigns here with Sauvignon Blanc constituting about a third of the area’s total production. Renowned alongside Chianti, Bordeaux and Rioja as one of the world’s great wine regions, the Barossa Valley is synonymous with deep, richly flavored Shiraz wines. The area is home to some of Australia’s most venerable and famous wineries including Wolf Blass, Penfolds and Peter Lehmann. The global success of Shiraz from this region has led to wineries planting more Rhone varietals including Mourvèdre and Grenache. The altitude of the Clare Valley’s vineyards, among the highest in Australia, makes for a relatively cool climate with warm days followed by fresh nights, the ideal conditions winemakers look for when growing Riesling. While the crisp German varietal is its most famous, the mountainous region also produces some excellent Cabernet Sauvignon and, of course, Shiraz. Coonawarra’s deep red soil, known as terra rossa, is famous throughout Australia and that rich color is echoed in the wines. Situated along the southern Limestone Coast, the region is often compared to the French wine region of Bordeaux, both for its relatively cool, maritime climate and for the wines it produces: primarily Cabernet Sauvignon along with excellent Merlot and Shiraz. Situated between the Gulf of St. Vincent and the Mount Lofty Range mountains, the town of McLaren Vale is surrounded by vineyards. Recognized throughout Australia as one of the country’s most innovative regions, winemakers are utilizing a wide variety of techniques to turn out unique styles often utilizing organic or biodynamic principles. While the Barossa Valley gets most of the attention, nearby Eden Valley is recognized by wine connoisseurs as exceptional in its own right. Like its more famous neighbor, this cool climate sub-appellation within the greater Barossa Zone creates excellent Shiraz, albeit in a slightly lighter style, as well as Cabernet Sauvignon, Riesling and Sauvignon Blanc. They only started growing grapes in the rugged southwest corner of Australia in the late 1960s, but in less than fifty years the Margaret River region has grown into one of Australia’s most exciting wine regions. First known for its luscious Cabernet Sauvignon, you can find excellent Shiraz, Chardonnay and Sauvignon Blanc as well. Tasmania is Australia’s coolest wine region (both in temperature and, some would argue, in style) and is renowned for its sharp, elegant sparkling wines and complex Sauvignon Blanc. Tasmania only accounts for a fraction of the total amount of wine made in the country, but its wines are highly sought after and fetch a premium price. An exciting region just outside of the city of Melbourne, the Yarra Valley is home to some of Australia’s most adventurous winemakers. Alongside all the classic grapes, Shiraz, Cabernet Sauvignon and Chardonnay, producers are experimenting with a wide range of less familiar varietals like Gruner Veltliner, Nebbiolo and Gamay. Australia is the fifth largest wine producer in the world. The country boasts some of the oldest grapevines in the world. More than 100 grape varieties are grown here. No grape is more synonymous with Australia than Shiraz. The dark-skinned, luscious grape varietal loves the climate down under and is grown throughout the country. YOU’LL EXPERIENCE: Deep, dark and full-bodied, Australian Shiraz is renowned for its powerful character. Notes of black and blue berries are common along with aromas of smoke and cured meats, with everything underpinned by a touch of toasted oak. TRY IT WITH: A Moroccan spiced lamb leg grilled over coals or just about anything that’s spent a good deal of time on a BBQ: pulled pork, brisket. Hearty braises and stews also relish the company of a good Shiraz. Falling somewhere between the subtle, tannic style of Bordeaux (Cabernet Sauvignon’s spiritual home) and the Australian Cab strikes a balance that’s easy to love. YOU’LL EXPERIENCE: With notes of black pepper and tobacco, cassis and black currant, Australian Cabernet is no shrinking violet, (although there might be some violet aromas in the glass). TRY IT WITH: Beef loves Cabernet Sauvignon. Go for burgers, braised short-ribs or skip the meat and try grilled eggplant, a hearty vegetarian lasagna or roasted mushrooms instead. Traditionally used as a blending grape in Australia, alongside Shiraz and Mourvèdre, Grenache is starting to be recognized for its own unique abilities as a single varietal. YOU’LL EXPERIENCE: Pomegranate, strawberry and cherry flavors are often apparent in this medium-bodied varietal. TRY IT WITH: If you’ve got it, kangaroo would be a great pairing, but just about any game meat from grouse to venison also works well. From maple glazed pork belly to Southeast Asian wok-fried noodles, Aussie Grenache is a wonderfully food-friendly wine. Australia is most closely associated with big, bold red wines, but this lighter, more delicate varietal thrives in the cool, coastal vineyards of Australia’s deep south. Known as Monastrell in Spain and grown extensively in Châteauneuf du Pape, Australia’s interpretation of this global grape tends to highlight its blueberry and plum characteristics. The grape’s natural, full-bodied character revels in Australia’s warm climate and rich soil. Oaky, buttery and creamy were the buzzwords around Ozzie chard for many years, and while that style still exists, there’s a move toward a lighter, more nuanced style these days. YOU’LL EXPERIENCE: Heaps of ripe melon and citrus, loads of vanilla and a nutty creaminess all wrapped up in a golden, full-bodied voluptuousness. TRY IT WITH: Freshness and creaminess are two qualities that Chardonnay looks for in a great pairing: Risotto primavera, chicken Marsala or grilled lobster dipped in garlic butter would all be hits. Since it doesn’t have the name recognition of Chardonnay, Australian Semillon is sometimes overlooked, meaning there are some real bargains to be had. YOU’LL EXPERIENCE: Floral scents give way to a crisp and zesty wine. Semillon works beautifully as a single varietal bottling but is often blended in Australia with Sauvignon Blanc. TRY IT WITH: Linguine with clams, fennel and citrus salad, seared squid or go with an Australian classic and throw some shrimp on the barbie. The “it” grape of Australian white wine in the past few years, Sauvignon Blanc thrives in the cooler, coastal and mountainous vineyards. YOU’LL EXPERIENCE: Often showing a grassy, herbaceous character, Australian Sauvignon Blanc is a tart, food-friendly, easy-drinking varietal. Fresh cut lawn, citrus and pineapple aromas are typical. TRY IT WITH: Gently spiced curries pair beautifully with the aromatic qualities of Sauvignon Blanc. Or try it with an elegant poached halibut with salsa verde or even a humble pizza. Ozzies tend to prefer a crisp, dry style of Riesling, perfect for sipping on a hot summer day, but the climate also lends itself to creating richer versions redolent with lemongrass, lime, and floral aromas. The region of Bourgogne, also known as Burgundy, is endowed with unique terroir. Its venerable grape varieties, Climats, and winemakers produce many of the world’s most sought-after wines. Known for being distinctive while displaying exceptional subtlety, the wines from this region are delicate yet intense. They stimulate the senses with fresh fruit; floral, spicy, and earthy flavors; vibrant minerality; and an aromatic depth that tells the story of each wine’s history, from vine to cellar. For many years, this revered wine region has been known to most American wholesalers, retailers, buyers, and consumers as Burgundy—but that’s about to change. In an effort to shore up its identity as one of France’s most iconic brands, the illustrious French wine region has decided to reclaim its French name—Bourgogne—in export markets around the world. The term Burgundy and other iterations of the name in foreign markets, such as Burgund in Germany, are now being phased out. Through appellation designations and regional labeling, the name Bourgogne has already been applied to nearly all the wines produced in the region. Bourgogne is one of the world’s most prized wine regions—it’s also one of the most complex. It may seem deceptively simple at first, particularly when you consider that only two varieties represent 91 percent of the grapes grown in the region. White Bourgogne wines are typically made from Chardonnay, and reds from Pinot Noir. But you won’t find either of these varieties listed on Bourgogne wine labels. Because these two noble grapes have a prodigious ability to assimilate the characteristics of the land—or terroir—where they’re cultivated, wines produced from them are often referred to as terroir wines. The styles of these wines can shift dramatically between different villages, and even among wines made with grapes from the same vineyard. Certain historical plots in Bourgogne’s vineyards have been delineated according to their geologic climatic, and cultural significance and classified as Climats. Each one has its own distinct relief, aspect, elevation, vegetation, and soil makeup. These factors transmit specific organoleptic qualities to the region’s wines, guaranteeing their unique characteristics. Bourgogne is the only wine region in the world that so meticulously links its wines to their place of origin and production through such precise classifications as the Climats. The area under vine—nearly 30,000 hectares—is relatively small compared with other prominent winemaking regions, such as Bordeaux and Napa Valley. Yet vineyards in Bourgogne are often owned by multiple smallholders. It’s not uncommon for a single vineyard or even Climat to be divided among numerous individuals or families. In some cases, an owner may possess only a tiny plot, such as a few rows of vines, in a well-known vineyard. For example, the famed Clos de Vougeot, a 120-acre walled Climat on the Côte de Nuits, has more than 80 owners. Located in the east central part of France, Bourgogne’s soils and topography yield a wide array of distinctive wines. 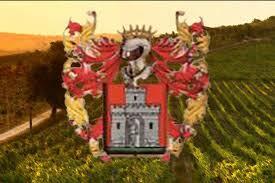 There are 29,067 hectares under vine in the region. Overall, the landscape is hilly. The grapes, particularly the Chardonnay and Pinot Noir varieties, benefit from the eastern (and southeastern) aspects of the region’s gentle slopes. The topography becomes more mountainous in the south. The soils and subsoils range from lime-rich, calcareous clay in areas like Côte de Beaune and Chablis—where Chardonnay thrives—to limestone marl, which is prevalent in the Côte de Nuits and is ideal for Pinot Noir. Bourgogne has a continental climate typically characterized by cool, crisp weather in autumn; cool temperatures and rainfall in spring; cold, and sometimes severe, winters; and hot summers. However, it also experiences contrasting climatic conditions from maritime and Mediterranean influences; the alternating effects of these determine the amount of rainfall and sunshine, as well as temperatures, which contribute to the variations in wine quality from one vintage to another. The climate is favorable for early-ripening varieties like Chardonnay and Pinot Noir. Certain areas, such as Chablis, though, are particularly susceptible to spring frosts. Hailstorms and summer rainfall, which can lead to gray rot, can also threaten vines. Bourgogne has a rich history, with evidence of vineyards dating to the first century AD. During the medieval era, Bourgogne wines were heavily influenced by monastic culture. Several generations of Valois dukes took on the management of cultivation from 1363 through 1477, making wine a key export. Until the French Revolution, most of the region’s vineyards continued to be cultivated either by the French nobility or the church. With the exception of a catastrophic period between the 1850s and 1890s, when the region’s vines were gravely affected by disease (powdery mildew) and then pests (Phylloxera aphids), Bourgogne has continued to prosper and strengthen its reputation as a producer of some of the world’s finest wines. In 2015 the Climats de Bourgogne were designated a World Heritage Site by UNESCO. There are 1,247 Climats along the 30-mile stretch that runs from Dijon to Santenay. Like most of the Bourgogne wine region, this famed narrow strip of vineyard is divided into many small plots. Each is precisely divided into a hierarchy of Premiers and Grands Crus according to the microclimate and geologic condition that influence its wines. The distinction draws international recognition to this unique area; it celebrates the Climats and helps preserve the site’s cultural heritage for future generations. Bourgogne’s appellation system is divided into four tiers. The lowest tier makes up about 50 percent of total production, while the highest tier represents less than 2 percent. There are 84 appellations d’origine côntrolée (AOCs) in the region, representing 23 percent of all French wine AOCs. “Bourgogne” or Mâcon always appears in the name of any wine from the seven régionale AOCs. Among these appellations, two can add to their name a Complementary Geographical Denomination (dénomination géographique complémentaire, or DGC). These wines are named after the village where their grapes were grown. There are 44 Village AOCs. Most of these Village AOCs can add a complementary distinction identifying them as having been cultivated in specific Climats within a Village AOC. This distinction identifies them as Village Premier Crus. On the wine label, the name of the Climatappears after the name of the village, as with Meursault Premier Cru Perrières or Chablis Premier Cru Vaillons, for example. Thus far, only the Village AOCs from the Mâconnais have yet to be granted the possibility of Premier Cru status; this will soon change, though, as Pouilly-Fuissé will be granted this much sought after status in 2019. Wines classified as Grand Cru express the distinctive characteristics of Bourgogne’s most favorable Climats and they represent the pinnacle of quality in the region. The label will identify a Grand Cru wine by its Climat (the name of the village will not appear). There are 33 Grand Cru AOCs. Bourgogne wines are almost exclusively varietal wines. In addition to world-renowned white and red wines, Bourgogne produces some rosés and sparkling wines. On average, the region produces 1.34 million hectoliters of wine annually. The most widely planted variety in Bourgogne, Chardonnay accounts for 50 percent of the region’s plantings. It’s an ancient grape—descended from Pinot Noir and Gouais Blanc—that adapts easily to its environment, thriving, in particular, in the marl and limestone soils of Bourgogne. It’s revered for its ability to express the characteristics of its terroir, including the subtle variations of the local climats. Its aromatic complexity is enhanced through traditional vinification and aging processes, with styles that vary from medium- to full-bodied, from the juicy fruit-forward, easy-drinking wines of the Côte Chalonnaise and the Mâconnais to the citrusy, floral wines of Chablis, with their mouthwatering acidity and steely minerality, or the more opulent style of Côte de Beaune, with white peach, ripe pear, apple, citrus, and honeysuckle notes. If aged in oak, Chardonnay will also develop toasty nut, honey, and vanilla notes. The second most widely grown grape in this region is Pinot Noir, which represents 41 percent of Bourgogne’s plantings. Pinot Noir is native to Bourgogne. Many other varieties, including Chardonnay, Aligoté, and Gamay, are descended from this ancient grape. Pinot Noir prefers a cool climate and can be difficult to cultivate. It’s admired for its natural ability to reflect the characteristics of its terroir, so styles vary greatly—from the most elegant expressions in Bourgogne to others around the world. In Bourgogne, Pinot Noir produces medium- to full-bodied wines that are typically ruby in color, though they can take on garnet or brick hues with age. Tannins are characteristically soft, round, and delicate. Dominant flavors include fresh berries, cherry, cinnamon, and pepper. As they mature, Pinot Noir wines also develop vegetal and gamey notes. Approximately 6 percent of the vines planted in Bourgogne are Aligoté. This white-wine variety came onto the Bourgogne viticulture scene in the 17th century. Like Chardonnay and Gamay, it’s a cross between Pinot Noir and Gouais Blanc. Aligoté can produce both AOC Régionale Bourgogne Aligoté and AOC Village Bouzeron. Bourgogne Aligoté is somewhat pale yellow in color; the wines have a juicy acidity and white peach, lemon, green apple, and saline notes. Typically, Bourgogne Aligoté is drunk young. Village Bouzeron comes from the Côte Chalonnaise; it has flinty mineral notes, a meaty mouthfeel, good structure, and great vivacity. Gamay is the main variety used in the red Mâcon wines of the Mâconnais and in the blend for Crémant de Bourgogne. Gamay wines tend to be ruby or garnet in color; they are lively and fruity, with light tannins and red berry and cherry notes. Sauvignon Blanc is the other grape variety (with Aligoté) that’s used to produce a Village AOC wine—Saint Bris—that is not made from Chardonnay. It is produced close to Chablis in the Grand Auxerrois. Other Bourgogne plantings include such well-known grapes as Pinot Blanc and Pinot Beurot (Pinot Gris), as well as rarer ones, such as César, Sacy, Melon (Muscadet), and Tressot.